Our site offers 1000's of discount holidays from leading tour operators. No matter what type of holiday you require you can find something suitable on our site from Beach breaks, Cruises, Ski Breaks, Exotic Locations, Far East Adventures or City Breaks. We also feature some great late availability and special offers. We send you direct to the tour operator where you can safely make your booking and start packing your suitcases! Follow our daily bog or find us on Facebook, Twitter or Google + or sign up to our mailing list and get the best offers direct to your inbox. From little ones in nappies to teenagers ready to spread their wings, every family’s different. 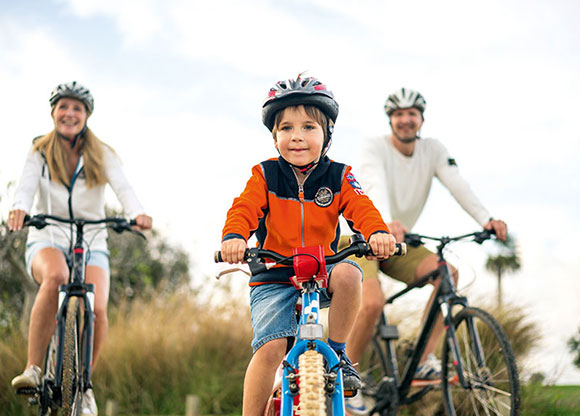 You’ll always find a holiday that fits when you book with us, as we’ve got a great range of family-friendly getaways for you to choose from. With kids’ clubs, beautiful pools and food for even the fussiest of eaters, you’ll have the time of your lives. What kind of holiday are you looking forward to? 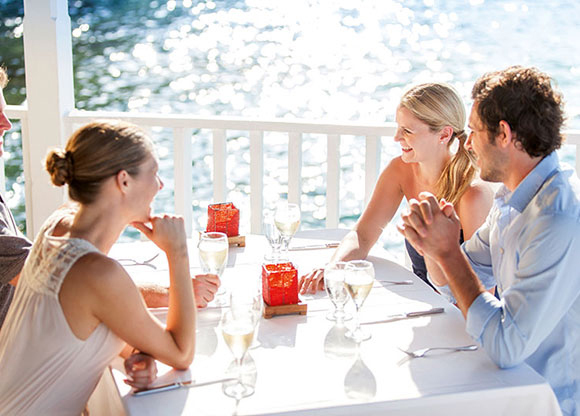 Whether you love to spend time at the beach, tuck into mouth-watering food, or head out and explore, you’ll have an unforgettable holiday with Thomas Cook Hotels & Resorts. There’s something for every taste and budget, from simply styled hotels to top-quality escapes. Offer: CRACKING EASTER DEALS. SAVE UP TO £125 ON SELECTED HOLIDAYS. Booking Dates: Thursday 18th April - Monday 29th April. 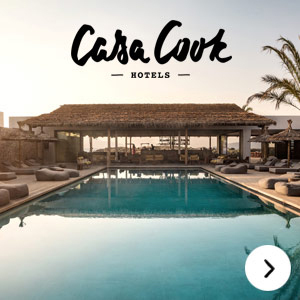 T&Cs: Save up to £125 per booking on selected summer holidays with your unique code online or in store – Valid on selected hotels only in the Canary Islands, Balearic Islands, Spain, Portugal, Italy and Cape Verde on package holidays departing between 1st May 2019 and 31st October 2019. If the selected hotel is valid as part of this promotion you will receive a unique code for £50, £75, £100 or £125 which should be entered in upper case on the summary page of your booking to be redeemed. Discount is valid on First Choice/ TUI package holidays with no minimum spend per booking, saving is based on a minimum of 2 adults sharing a room. The offer is valid from 18th April 2019 until midnight Monday 29th April 2019 on tui.co.uk, firstchoice.co.uk and in TUI stores. The offer does not apply to accommodation only, flight only and ski bookings and can only be redeemed once. Please see www.tui.co.uk or the relevant brochure for booking terms and conditions. The offer is subject to availability and may be amended or withdrawn at any time without notice. This promotional code is non-transferable and not valid in conjunction with any other discount code. Ts&cs: Save £150 per booking on July, August, September and October holidays to Mauritius departing between 1st July 2019 and 31st October 2019 with code DODO150 - Save £150 per booking including children aged 2 and over on TUI package holidays. Discount is valid on holidays departing between 1st July 2019 and 31st October 2019. The minimum spend is £1500 per booking and before any extras such as insurance, room upgrades & selecting seats, are added. Saving is based on a minimum of 2 adults sharing a room. 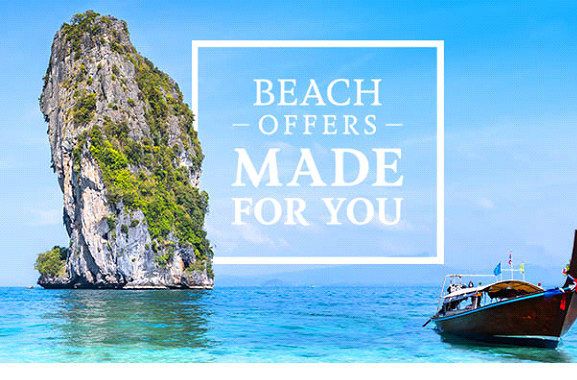 The offer is valid from midnight 19th April 2019 on tui.co.uk. The offer does not apply to accommodation only, flight only and ski bookings. This offer is only valid for new bookings and can only be redeemed once. Enter the code DODO150 in upper case when on the holiday payment page of our website. This code will end midnight 7th May 2019. Please see www.tui.co.uk or the relevant brochure for full booking terms and conditions that apply. The offer is subject to availability and may be amended or withdrawn at any time without notice. This promotional code is non-transferable and not valid in conjunction with any other discount code. T&Cs: Deposits from just £50pp - Offers are correct at time of going to print 26/12/2018. 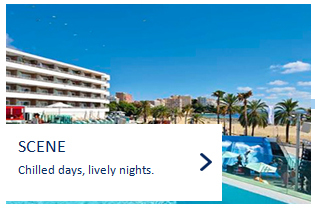 Deposit offer applies to selected new TUI bookings only departing between 1st May 2019 ? 31st October 2019, and excludes accommodation-only, flight-only bookings and packages booked with a third party flight. Deposit amount on short and mid-haul destinations is £50 per person or £150 per family and for long-haul destinations it is £125 per person or £300 per family. The rest of the deposit will be due within twelve weeks of booking your holiday, or you will be required to pay the remainder of the total holiday cost, whichever date comes sooner depending on when you booked your holiday. If you cancel your holiday you still have to pay the full deposit. Deposits are not available on holidays departing within twelve weeks of departure, where full payment is required at the time of booking. Offers may be amended or withdrawn at any time. Please see www.tui.co.uk or the relevant brochure for full booking terms and conditions that apply. Some of the flights and flight-inclusive holidays are financially protected by the ATOL scheme. When you pay you will be supplied with an ATOL Certificate. Please ask for it and check to ensure that everything you booked (flights, hotels and other services) is listed on it. Please see our booking conditions for further information or for more information about financial protection and the ATOL Certificate go to: www.caa.co.uk. TUI is a trading name of TUI UK Limited, a member of the TUI Group. Registered office: Wigmore House, Wigmore Lane, Luton, Bedfordshire, LU2 9TN. Registered in England No: 2830117. ATOL 2524, ABTA V5126. T&Cs: 1000s of free kids? places ? 1000s of free kids? 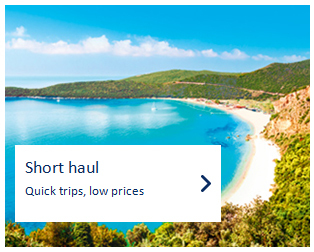 places offer applies to new TUI short and mid haul bookings only and is subject to limited availability. Only available for holidays departing between 1st May 2019 ? 31st October 2019 in selected accommodation, and only where the child is sharing a room, apartment or villa with two full-fare-paying adults. They are available for children up to 12 years inclusive for hotels and up to 16 years inclusive for self-catering - unless stated otherwise in the property details. If a first child goes free, other children must pay full price. Not combinable with other selected discounts or special offers. Offers may be amended or withdrawn at any time. Please see www.tui.co.uk or the relevant brochure for full booking terms and conditions that apply. All the flights and flight-inclusive holidays are financially protected by the ATOL scheme. When you pay you will be supplied with an ATOL Certificate. Please ask for it and check to ensure that everything you booked (flights, hotels and other services) is listed on it. Please see our booking conditions for further information or for more information about financial protection and the ATOL Certificate go to: www.caa.co.uk. TUI is a trading name of TUI UK Limited, a member of the TUI Group. Registered office: Wigmore House, Wigmore Lane, Luton, Bedfordshire, LU2 9TN. Registered in England No: 2830117. ATOL 2524, ABTA V5126. 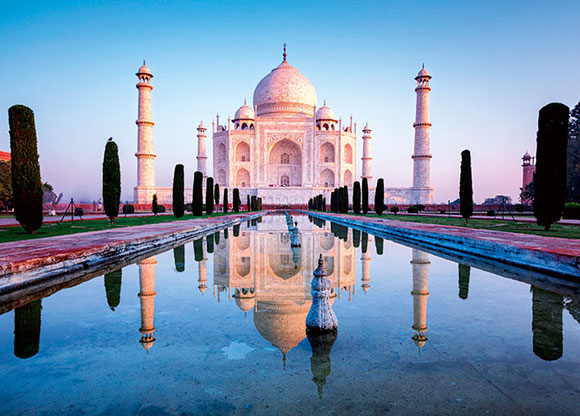 T&Cs: Save up to £500 per couple onboard Marella Explorer 2 departing 8th May 2019 and 29th May 2019 - The £500 saving refers to the total savings made on 7nt Mediterranean Gems cruises departing on 8th May 2019 and 29th May 2019 on Marella Explorer 2 based on 2 adults sharing the cheapest available cabin type on an all-inclusive basis. The offer applies to 7 night holidays booked on tui.co.uk/cruise and does not apply to cabin only. Savings are from the latest edition of the relevant brochure. Additional supplements may apply. T&Cs: The £600 per couple saving refers to the total savings made on 7nt holidays departing between 1st May - 31st May 2019 on a holiday based on 2 adults sharing the cheapest available cabin type on an All Inclusive basis. The offer applies to 7 night holidays booked on tui.co.uk/cruise and does not apply to cabin only. Savings are from the latest edition of the relevant brochure. Additional supplements may apply. Offer: SAVE UP TO £700 PER COUPLE ON THE IBERIAN DELIGHTS CRUISE. T&Cs: SAVE UP TO £700 PER COUPLE ON IBERIAN DELIGHTS ITINERARY. The £700 per couple saving refers to the total savings made on the Iberian Delights 10 nt sailing departing on 27th April 2019 based on 2 adults sharing the cheapest available cabin type on a full board basis. The offer applies to 10 night holidays booked on tui.co.uk/cruise and does not apply to cabin only. Savings are from the latest edition of the relevant brochure. Additional supplements may apply. The promo code applies to bookings made on the Thomascook.com website and in Thomas Cook stores only. To use the code in store, quote the promo code (GETAWAY) at the time of booking an applicable holiday. To use online, look for the this promo code being advertised within the main holiday photo when you search on the “Holidays Tab” The code must be entered on the payment page to get either £100, £200 or £300 off per booking – the amount you save will be calculated on the payment page after you enter the promo code and will be based on the total holiday cost (excluding travel insurance). 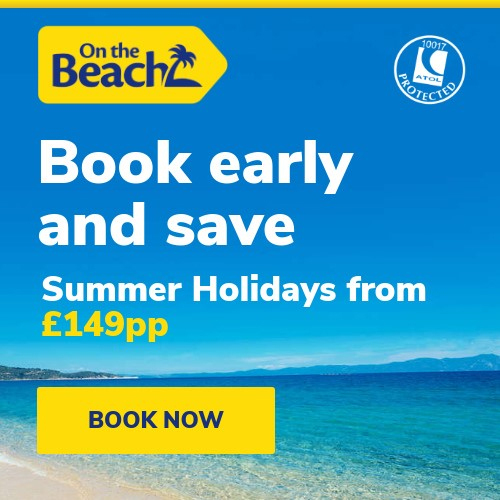 The saving applies to selected Thomas Cook or Manos branded package holidays flying with Thomas Cook Airlines or easyJet and departing between 1 April 2019 and 31 October 2020. Only one promo code per booking can be used. Saving cannot be combined with any other promo code, offer or discount unless stated otherwise. Offer available for a limited time only and may be withdrawn or altered without notice. All holidays are subject to availability and tour operator booking conditions. In the event of any difficulty applying the promo code online, please call 0844 879 8515 for assistance. Calls will cost 7p per minute plus network extras. The Olympic holiday SALE is here! This is your chance to pick up the holiday you’ve been looking after for a fraction of the price with discounts of up to 70% off! Choose your summer break now with holidays in Zante, Crete, Corfu, Kefalonia, Rhodes and island-hopping. Whether you are looking to enjoy a relaxed Greek island holiday, dive into azure blue seas and holiday in Rhodes or just lie back on a luxury holiday on Cyprus, we have the holiday you are looking for. Why wait for a last-minute holiday-of-a-lifetime? Our special offers are available for holidays in 2019 and holidays in 2020 so grab yourself an amazing holiday deal. Check out our latest offers and leave some footprints in the sand. We know when a few extra nights in Sri Lanka mean you can relax and enjoy some culture, or an extended tour in the Far East means tasting food with the locals or seeing that iconic temple. We've hand-picked our favourite beach offers and have made them even more special for you. Book by 30 April 2018. An awe-inspiring hotel and one of the finest we offer, with views of Le Morne mountain and fabulous butler service. Santorini, Athens, Naples and beyond; sail the Amalfi Coast and Greek Isles on this new luxury cruise ship. Play a round of mini golf or learn to dive at this fun, family beach resort, which also has an aquatic Splashpad area. Terms and Conditions: Free kids offer applies to new bookings only, on selected summer 2018 holidays, subject to limited availability. Only 1 free kids place is available in each selected hotel room or selected apartment type or villa with 2 full paying adults. Other children must pay the full brochure price. Available on TUI holidays only. Free child places cannot be combined with online discount. Calabria is a relatively unknown part of Italy but it offers something for everyone, whether that is a relaxing break along the spectacular coastline (rumour has it that the resort of Capo Vaticano is home to one of the 100 most beautiful beaches in the world!) or something more adventurous such as wind surfing or cycling through the hilly landscape. The destination is famous for its beautiful beaches, coastline and generally unspoilt landscape. All of this allows customers to enjoy the destination by partaking in a host of activities, including scuba diving, wind surfing and exploring the national parks. 1.Food Haven - this location is renowned for its cuisine, it's all traditional and made with authentic charm. Famous for Cipolla di rossa (sweet red onions), which are used in making onion soup, topped up with Italian brandy. Also famed are the Ndjua spiced sausage (so soft it can be spread like pate), Pepperoncino peppers (spicy and has a festival in its honour!) and Tartufo - a 'grown up' ice cream involving syrup, fruit, gelato and chocolate sauce. 2.Culture/Authenticity - the curtain has only really just come up on tourism in Calabria, meaning the area is unspoilt and maintains it's traditional, rustic Italian charm. As you walk through its towns and villages, you almost feel like you are stepping back in time. 3.Beaches - the region is surrounded on three sides by sea, amounting to 500 miles of coastline. 4.National Parks - Sila National Park is renowned and just a 40 minute drive from Simeri Mare. The park is full of lakes, woodpeckers and walking trails throughout the 74,000 hectare park. 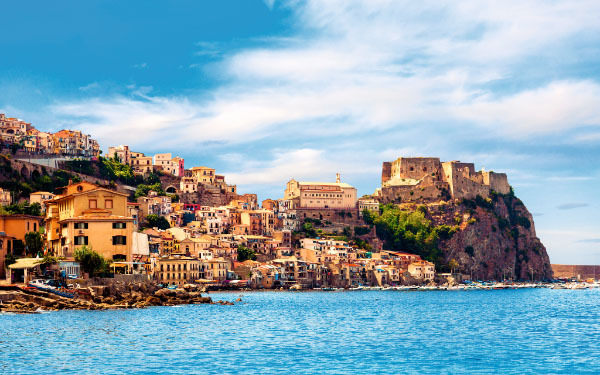 5.Weather - located in Southern Italy, the area is closer to the Equator than the rest of our more traditional Italian gateways, meaning you'll bask in even better temperatures. How to get there and what do? This holiday hotspot is popular thanks to its huge beaches and year-round sunshine. 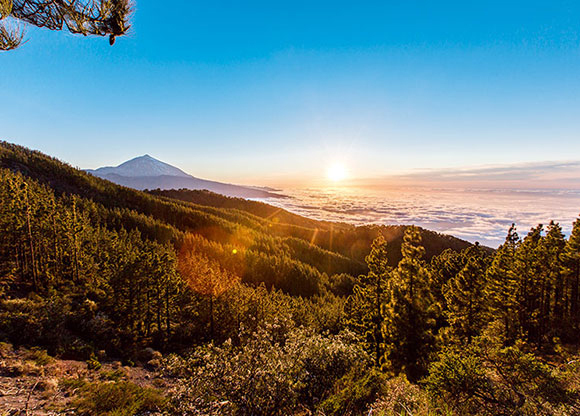 It’s also home to Mount Teide, the world’s third-largest volcano, and Siam Park, one of the biggest waterparks in Europe. 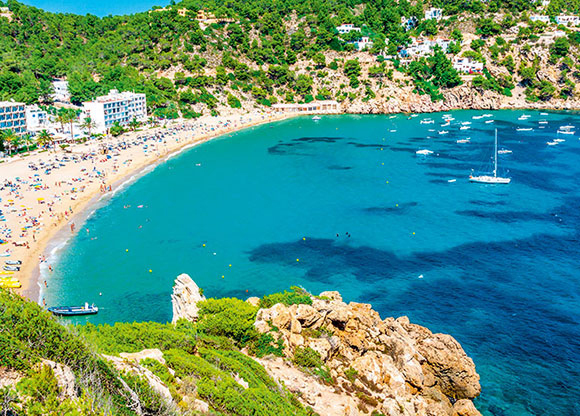 Ibiza is most famous for its nightlife, but that's just the tip of the iceberg. Towns like Portinatx offer sandy coves and hills blanketed with wild flowers. Plus, Ibiza Town has a place on UNESCO's World Heritage list. East meets west in Goa. This stretch of India’s west coast offers up action-packed beaches, Technicolor markets, and European culture. This series of islands in the Atlantic Ocean have been on savvy travellers’ lists for a while now. 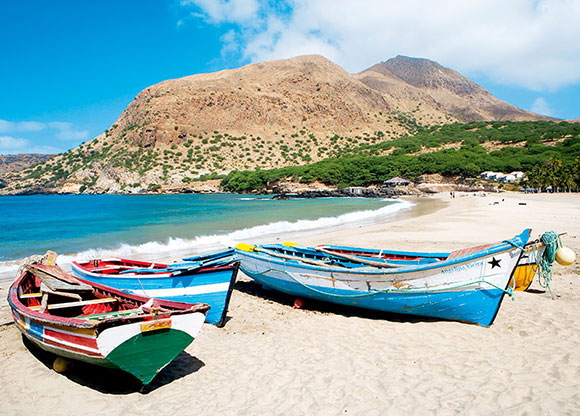 Sal, the most popular isle, is known for its lunar-like landscape, cobbled towns and al fresco cafes. Check into one of our Sensatori resorts, and you can enjoy a sense-stirring experience in five-star surroundings. Expect gourmet dining, and first-class pool scenes as standard. Just for adults, these holidays are designed to help you reconnect and leave your everyday routines behind. We’ve thought about everything, from contemporary bedrooms to spa treatments made for two. Family Life holidays offer something for all the family. There are activities and entertainment suitable for children of all ages, plus great restaurants and coffee bars for adults. These holidays offer a great range of activities led by experts. Try your hand at watersports or play tennis with your partner, and enjoy great food and entertainment later on. Handpicked, quality hotels in a range of destinations. These holidays offer great dining scenes, adults-only accommodations and a larger luggage allowance. Hotels in this collection are some of our most luxurious – think Zen-like spas and high-end dining experiences. You get extras like private taxi transfers and a bigger luggage allowance, too. Remember the best holidays you’ve ever had? The ones where you were so comfortable you could just relax and be yourself? 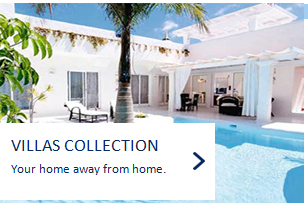 You can feel like that again on a Thomas Cook Hotels & Resorts holiday, as each type has its own personality. So, whether you’re looking for fun and freedom, prefer stylish luxury or want something different again, we’ve got the low-down to help you choose. Soak up the sun at our SENTIDO Hotels & Resorts and discover that your dream holiday is possible. 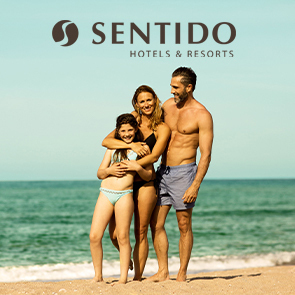 It’s the little things that make spending time together special, so try an activity like SENTIDO Daybreak for the perfect mix of relaxation and action. 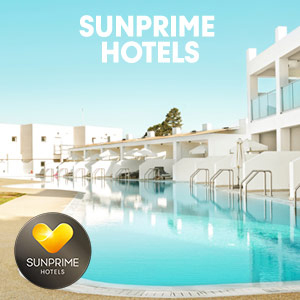 If you’re looking for a holiday that’s just for adults, then you’ll love our Sunprime Hotels. Escape for a slower pace and a sensational experience where you’ll enjoy unwinding with a loved one. We’ve already thought of all the details, so you can concentrate on having the best time. Good music, great drinks and fantastic food add up to one amazing holiday. 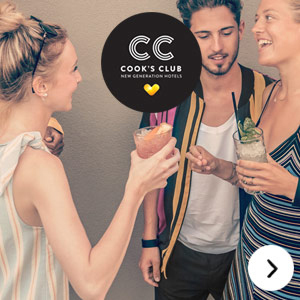 Check out our newest addition: Cook’s Club, a new generation of hotels where DJs and an Instagrammable style set the scene for the alternative escape you thought you’d never find. Downtime and downward dog: Casa Cook’s the perfect place to reconnect with the inner you, whether floating in the swim-up pool, tucking in to fresh flavours at the Kitchen Club or rebalancing with a yoga session. These are boutique hotels with a laid-back spirit. Whether an adult-only rooftop pool or simply sharing a table in the sunset is your idea of paradise, you’ll find something to appeal uniquely to you with our adult holidays. Our hand-picked ranges have a variety of stylish, luxurious and great value hotels on offer, where switching off and kicking back are the order of the day. Cocktails by the pool and that second helping of dessert – these holidays dish up all the things that are great about All Inclusive, in a relaxed, adult-focused setting. Whether you’re a couple, travelling with friends or going it alone, it's so much easier when practically everything is included in the price. Our Adults Only range features properties with a child-free environment and distinctly grown-up flavour. Such a stress-free setting means you can look forward to recharging your batteries in total tranquillity, ensuring nothing comes between you and having a great holiday. Adults Luxe brings together a collection of impressive four and five-star hotels that are exclusively aimed at adults. You could be right by the beach or nestled among outstanding scenery, but stylish décor, á la carte dining, and plenty of ‘me time’ will always be on the menu. Swap between sea and pool at Live Aqua Beach Resort Cancun. Get the Blue Lagoon experience at TUI SENSIMAR Palazzo del Mare. Get set for summer thrills at PortAventura World. 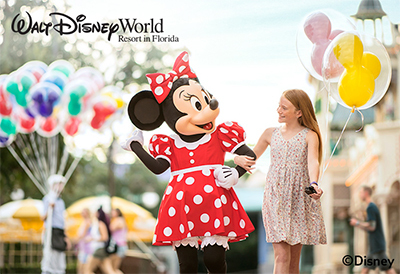 With 14 Disney Park Days for the price of 7*, you'll be able to explore all 6 parks. 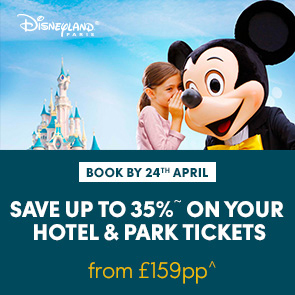 Experience the magic of Disney from £159pp^ with up to 35% off~ Disney® Hotel and Park Tickets. Discover Disneyland® Paris, the home of Mickey Mouse and some of the world's most magical attractions. Book by 24th April for arrivals between 2nd April - 6th November 2019. Looking for a sunny destination for your summer holiday? Turkey’s perfect! Think sandy beaches, turquoise seas and so many different resorts that you’ll be spoilt for choice. From peaceful places like the Blue Lagoon and awe-inspiring Roman ruins, to All Inclusive hotels and fantastic entertainment, there’s a Turkey to suit you. When you want to get away to somewhere warm, sunny and completely relaxing, head for the Red Sea. It’s the perfect combination of sandy beaches, beautiful views and world-class hotels, with exciting activities too. Think water sports, scuba diving, and adventures to ancient pyramids and the River Nile. Book your Egyptian escape today. Fancy a taste of the exotic? If it’s golden sands, desert dunes and turquoise seas you’re after, then you need a holiday to Tunisia. Book yourself a break to remember, where Roman ruins bask in the Saharan sun and you can sip cocktails in your relaxing hotel after a day visiting movie locations. Go on, give yourself something amazing to look forward to! Keeping the entire family pleased on vacation could be complicated yet the brand brand-new TUI Family Resorts collection is made to make it easy. We're not just talking with regards to places with youngsters' swimming pools as well as play grounds. We've considered all the specifics like youngsters's buffets and interconnecting rooms. For the ultimate spoil-me-silly household holidays, why not whisk your liked ones off to Sensatori? Rather simply, Sensatori is a brand-new generation of stylish resorts exclusively from TUI. Whether you decide to vacation in Mexico or Crete, you'll quickly locate yourself delighting in all type of luxury, from scrumptious eating to luxurious health club treats. As well as when it pertains to family members, rest ensured we've obtained activities galore to keep any ages delighted. It's what vacation dreams are made from. Perfect for family holidays, America's premier theme park main has delights, spills and also splashes galore - in addition to shopping centers as well as mile upon mile of shimmering sands. If you're trying to find the ultimate family vacation, the Sunshine State has it all. Give your budget a break. Book an All inclusive vacation and as well as you'll have all your meals, beverages and snacks included in the rate. You'll likewise obtain tons of hotel activities included, and also using numerous facilities throughout your visit. This summer, whisk your family away for all kinds of fun in the sun. Book your All Inclusive escape today for playtime with the kids at the pool, exciting family activities, child-friendly restaurants and entertainment that will bring you all together. We’ve got a great range of holidays in popular summer destinations; so, where do you want to go? Holidays are all about feeling pampered, so you can relax without a care in the world. That’s why you should give yourself a proper break with one of our All Inclusive escapes. You’ll get your meals and drinks included, so budgeting’s easy, plus activities and entertainment for your whole family. Get ready for your most relaxing holiday yet. Thought concerning Florida for your 2019 vacation? Whatever you're searching for in a holiday-you're sure to locate it in the Sunshine State. From loop-the-looping at Walt Disney World to relaxing on the beaches at Clearwater and also St-Pete's. From themed resorts in the heart of the action, to sophisticated, out-of-town villas. What’s the best thing about our Sunwing Family Resorts? Well, they’ve got everything you need to keep the kids happy, and when the kids are happy you can relax and enjoy your holiday too. There are pools for everyone, kids’ clubs, exciting activities for you all and even a peaceful spa for that downtime you’re craving. What’s your family into? Fun games and activities for the kids (and you, too! ), great pools, grown-up time at the spa or gym, giggling over a tasty meal, and an exciting evening’s entertainment, perhaps. You can have it all and more when you book this year’s summer holiday at a Sunwing Family Resort, part of our range of fantastic Thomas Cook Hotels & Resorts. If you’ve been dreaming of a holiday designed for your family, check out our Sunwing Family Resorts. Exciting entertainment that finishes around 9.30pm; casual restaurants where fresh food’s the norm; a relaxing spa; and great pools for all ages. We’ve designed Sunwing to make sure you all have the best holiday possible, in some of the world’s leading family destinations. Don’t tear your hair out looking for a smart deal on your family holiday this year; save yourself time and book one of our smartline Hotels. We’ve kept things simple so you can spend your hard-earned holiday money on the things that are most important to you. Modern and comfortable, with all the essentials like a pool, each one’s a great-value base in a popular destination. When all you need is a relaxing pool, restaurant, welcoming room and each other, our smartline Hotels are the smart choice. Helping you relax with their modern style and locations near the beach and resort centre, it’s the great-value holiday you’ve been searching for. Perfect for budget-conscious families who love to explore somewhere new together. If you always feel you could have done something more memorable with your holiday, make one of our SunConnect Resorts your next destination. Unforgettable moments are what they’re all about, from the look on your kids’ faces when they meet our mascots Lollo & Bernie to the games you’ll play together at the pool. We’ve even given teenagers space of their own in the Teen Lounge. Summer’s made for family time, so make it count with a longer holiday. That’s more time for the beach, for swimming, for exploring, and for ice cream! 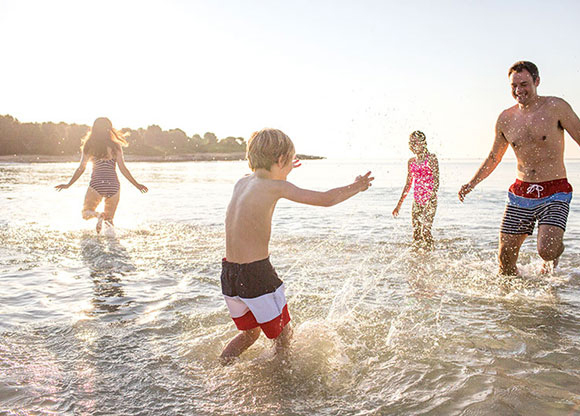 We’ve got a fantastic range of family holidays with 10 to 14 night durations, so you can take your pick from all kinds of sunny destinations; from the Canary Islands to Mexico. There’s so much you can do with two whole weeks! Mix it up with days at the beach, sightseeing adventures and leisurely days exploring the local shops and restaurants at your own pace. Whatever you’re hoping to do, we’ve got a great choice of family holidays with 14-night durations. You’re sure to find your perfect fortnight away with us. If you’re in the mood for pure indulgence, you’ll love our luxury holidays with Signature. What are you dreaming of? We’ll help you design it, so you can unwind somewhere truly special. We’ve everything from bucket list destinations such as Sri Lanka and Barbados, to once-in-a lifetime adventures. And, of course, we do peaceful holidays in the sun, too. There’s something really special about time away with your significant other. Whether it’s your first holiday as a couple or you’ve been together forever, it’s those shared moments that make for great memories. 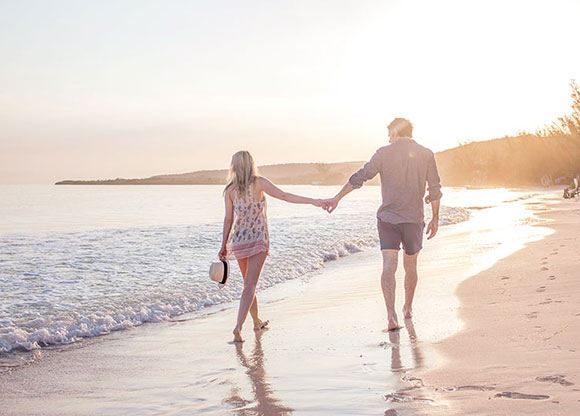 Find your happy place on a holiday that’s perfect for couples, with pampering spas, romantic restaurants and all the calm you’re dreaming of. Make your next holiday even more special with a stay at an amazing family hotel. With kids’ clubs, things for teenagers to do, rooms to suit your family and space for everyone to unwind, we’ve thought of everything so you can focus on relaxing. Find your happy place at our Sunwing Family Resorts, SunConnect Resorts or stylish SENTIDO Hotels & Resorts. Arrive at the airport knowing you have a guaranteed space with your name on by pre-booking airport parking. We offer a wide range of parking options at 29 major UK airports with free transfers included. Whether you’re looking for park and ride, or convenient meet and greet, we have a parking option for you. However you plan to spend your holiday, our airport transfers make it easy to get from A to B. Our airport transfers are available 24/7 in over 7,500 cities and resorts, and 120 countries worldwide. If you’re looking for shared airport shuttles, an airport taxi, minibus or even a private coach, we’ve got an airport transfer for every holiday. Start your holiday early and avoid the stress of heavy traffic on the day of your flight by booking an airport hotel. With a huge selection of over 200 2*-5* hotels to choose from, you’ll be sure to find the hotel that’s right for you. We’ve slept in every hotel we sell, so you can rest assured that you will be getting a good night’s sleep. Jet2holidays is the UK’s second largest tour operator, offering great value package holidays from 9 UK bases to over 500 resorts across 70 sun destinations. Thanks to a continued focus on fantastic customer service, Jet2holidays were also proud to be Awarded Which? Travel Brand of the Year. You’ll enjoy a huge choice of 2-5 star accommodation, with holiday ranges including Family Favourites, Luxe retreats and All-Inclusive holidays. Your package holiday also includes return flights, a huge 22kg baggage per person and return transfers, plus ATOL Protection, all wrapped up for just £60pp deposit. Offering all the freedom of a villa with added package holiday benefits and car hire included, Jet2Villas feature villas across Europe and the Mediterranean. 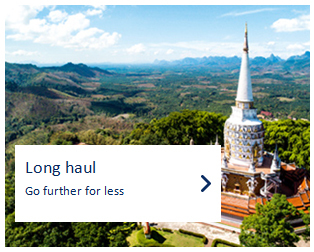 Meanwhile, Jet2CityBreaks give you a brilliant choice of over 30 city destinations. Each brand has unique features and destinations, but they all offer the same great value and friendly service you can always expect with Jet2holidays.